Trying to get back on track here, you see. 2) The defendant knew or should have known, in the exercise of due care, that the black bear was taken, possessed or transported in violation of a law or regulation of the United States. This is also another reminder that it is generally not a good idea to have someone film you doing something illegal. 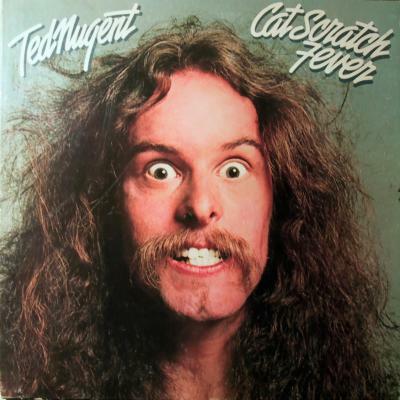 NUGENT filmed his black bear hunt for his commercial sport hunting show called "Ted Nugent Spirit of the Wild" …. After shooting and wounding one black bear, NUGENT continued to hunt other black bear[s] in violation of Alaska law. Seems you only get one per year, and wounding counts. Nugent (who I first encountered during his "Wango Tango" tour, during which he killed no bears but did swing onto the stage using a vine) claimed ignorance. It's not clear whether he claims he didn't know that wounding counts, or that he didn't know he had wounded the first bear. The second argument, at least, might be a defense because the statute requires a knowing violation of the law. In the end, it didn't matter, because Nugent pleaded guilty in exchange for a favorable recommendation, and a judge in Ketchikan, Alaska, has approved the deal. As a result, Nugent will pay a $10,000 fine, $600 to Alaska for the bear, and will serve two years of probation during which he has agreed to leave the state's bears alone. That should give him more time to make entertainingly odd political statements during the 2012 election cycle, so it's pretty much a win all around.